featuring some of their rocking styles, awesome treats for the kids, including hair makeovers..mohawks,feathers,and rock and roll styles. 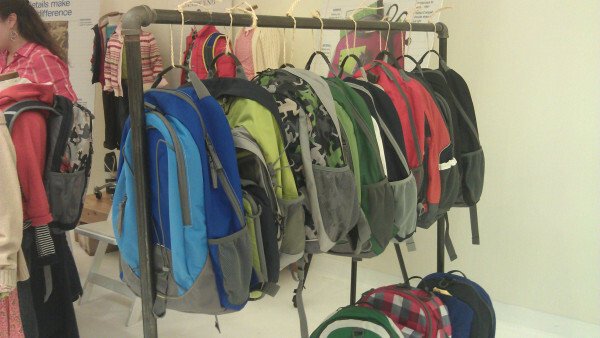 LandsEnd had some cool backpacks and clothing for back to school, they also have school uniforms. Wine tasting for moms and dads from Cameron Hughes. Photo booth picture fun with Children’s Advil. Play-Doh had a table set up for the little ones to have some creative fun. 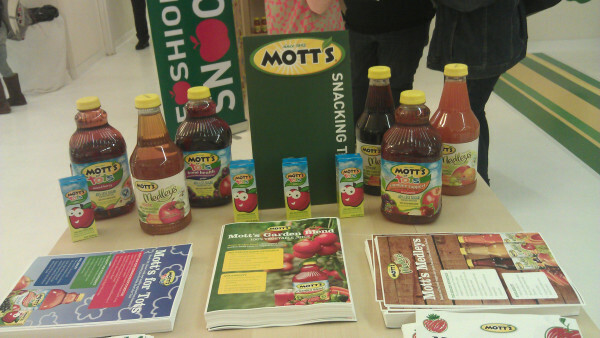 Motts provided yummy goodness for all. Remington was doing hair, their team is always wonderful. The lovely Nina from Mom Agenda was there, her stationary/memory books are so beautiful. 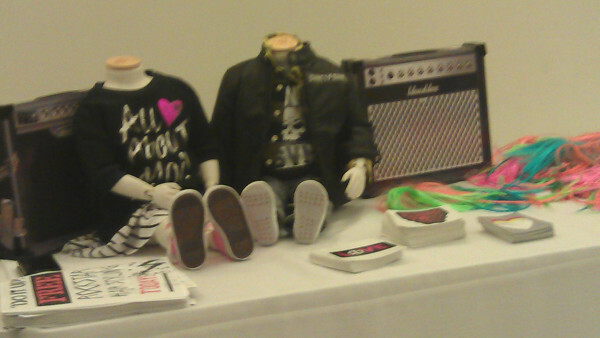 Zulily had a cool donate swap clothing table set up. Other sponsors for the event included Goody Hair, Suave, and McDonald’s. A wonderful event with rocking back to school products and great sponsors in a nice calm environment that was not overwhelming. Congratulations to Colleen and Whitney on your First School Style Event! I am looking forward to Style School 2012!!! Porsche has created one Super Gorgeous Baby Stroller with the new P’4911. 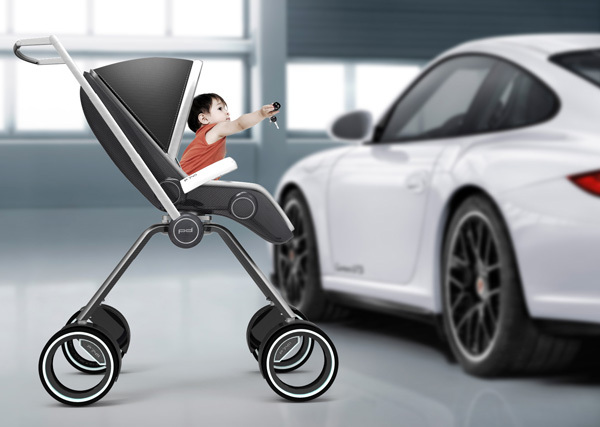 Industrial Designer Dawid Dawod created the Porsche Design P’4911 stroller using a blend of car­bon fiber, alu­minum, leather, ball-​​bearing wheels, making it light and stylish. 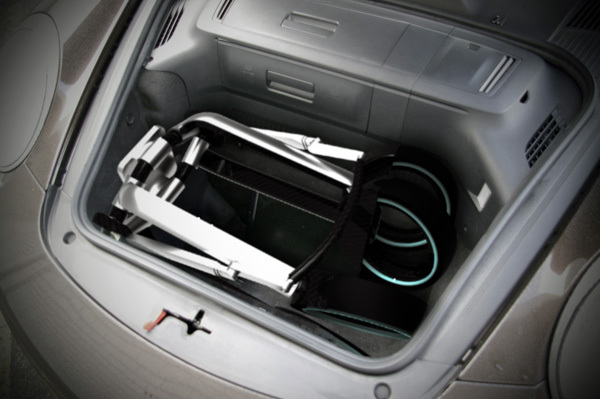 The minimalistic design makes it perfect for folding into the back of any Porsche. This is one Beauty that will sure make you stand out in the playground…stroller envy anyone, oh yeah! It is suitable from birth to the age of 4. Price has not yet been determined. Crocs…what can I say, well my Lil Wee’s love affair with them began when he was about 18 months old. 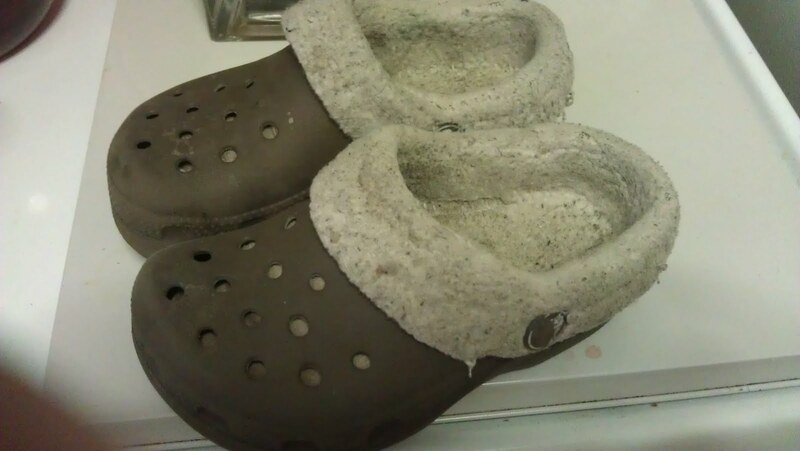 A local store was having a going out of business sale and I came across a pair of little size 8 Mammoth Crocs. I thought, well these are cute (this would be my first croc purchase) and Lil Wee might like them and if he didn’t like them or they didn’t fit him no big deal only $1.00. Well he is now 28 months old and he LOVES his crocs, refuses to wear any other shoe. He loves the Furry Fleece Lining, and the fact that it is a slip on that he can try to put it on himself. He wears them all the time, he calls them his slippers and his shoes and is never without them. It is really so bittersweet how a little pair of $1.00 Crocs sitting all alone on a store shelf found a perfect home on the feet of a little boy. I am so saving this pair! 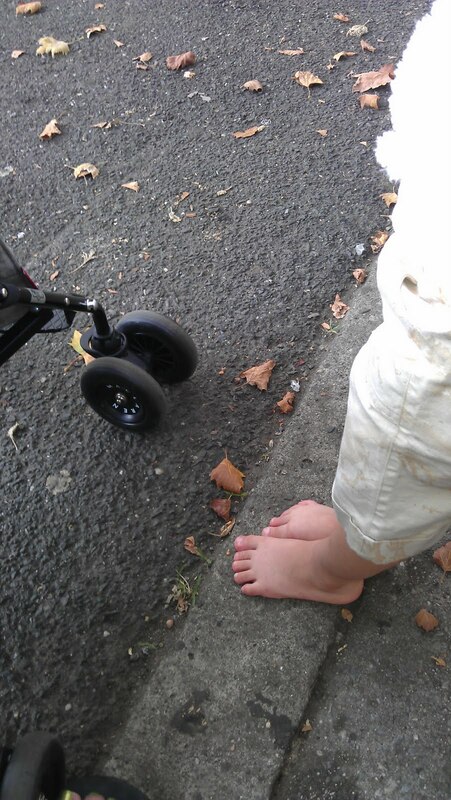 What a memory…the first shoes that were his Precious Little Tootsies First Love…Crocs!